Your Gorgeous Indian Wedding Lehenga Need Not Brood in the Wardrobe After Your D-Day Anymore! Your Gorgeous Indian Wedding Lehenga Need Not Brood in the Wardrobe After Your D-Day Anymore! | Wedding Tips ARE YOU A VENDOR? A bridal lehenga is a once in a lifetime purchase a bride is ever likely to make. But, who said you cannot adorn the same later in life? We present to you ways in which you can step up your A-game post you nuptial ceremony. Being a bride is not just about shopping, honeymoon planning and getting new stuff for your wardrobe! There are dilemmas and big fights a bride needs to conquer. Whether to spend most of your savings for that one-time wear lehenga? Or give up that ultimate bridal dream that every girl dreams ever since she was a child? Well, brides, it’s time to stand up for your dreams! If you want that fantastic lehenga on your wedding day, so be it. 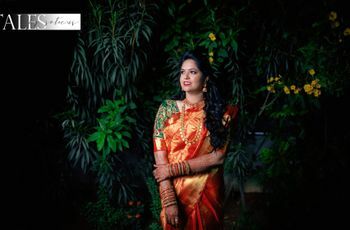 And we will help you with smart ideas on how you can wear your Indian wedding lehenga multiple times without being repetitive and out of place. You’ve put so much time and effort into getting that perfect blouse tailored for you in the latest design. It’s only fair to make your effort count...and that too more than once, right? 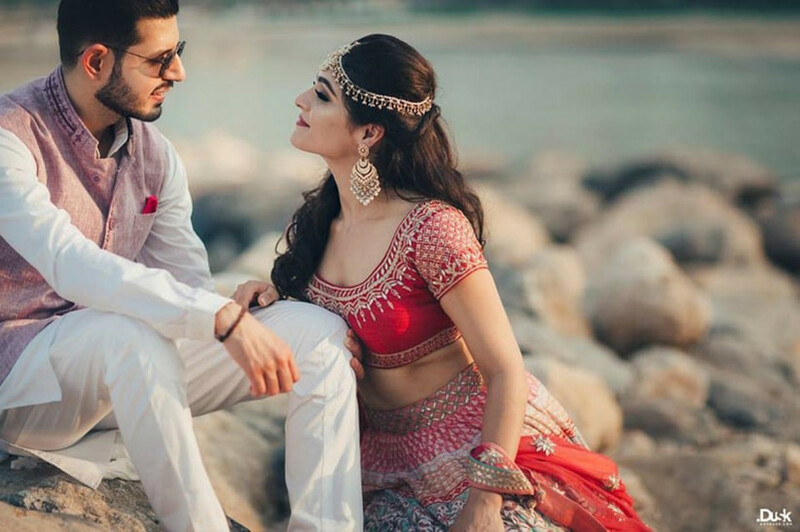 So who said you need to wait for a fancy wedding to wear your Indian wedding lehenga again? Just use the blouse for a different outfit. Like Anshu, who got married a few months back did. “I ensured my blouse had handwork but no borders. So now I can wear them with lots of sarees with matching or contrasting shade of colour”, she says. And if you happened to read about designer kurtis for weddings and chose a silk kurti to go with your lehenga, well you’re in luck already! Just wear your blouse as a top with jeans, Salwars or leggings for any casual/semi-formal occasions and turn the heads with the added "wow" factor. Say hello to the oh-so-friendly dupatta which gets along with almost anything and everything! The dupatta is that part of your Indian wedding lehenga which is the easiest to re-use. Wrap it up as it is with a silk Salwar kurta for a Mehndi or Sangeet function with an elegant skirt to go with it and keep up the ethnic mood of the occasion. Or wear it as a stole with semi-formal kurti-jeans. Know more about some creative dupatta draping styles to go with your suit. Saumya, however, doesn’t wear her wedding lehenga but plans on using it in her home temple. 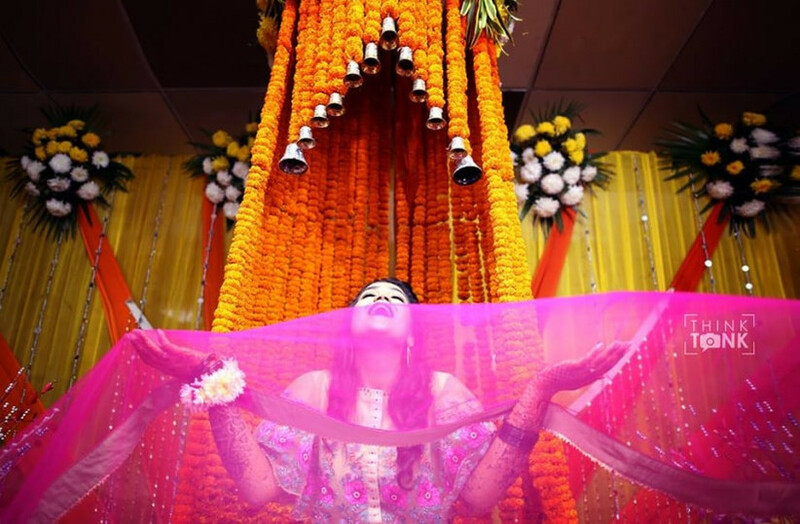 She says, “I was thinking of using the dupatta to cover Devi Maa in my home temple”. That’s an idea, we say! Now comes the rather difficult part. Putting your Indian wedding Lehenga to use after the wedding! After spending a fortune on that dream outfit that you so proudly own, it becomes almost a liability once the wedding (and hence its real purpose) is over. So is there a post-wedding future of a lehenga after all the glitz and glam whizzes past in what feels like a wink to you? Of course, there is! “I reduced the cancan of my ₹38k lehenga skirt so that I could wear it on other weddings too. Also, I chose a mostly plain skirt with a heavy border. So it’s easier to wear it with a contrasting blue or golden blouse”, said Anshu. So what are her plans with her lehenga then? 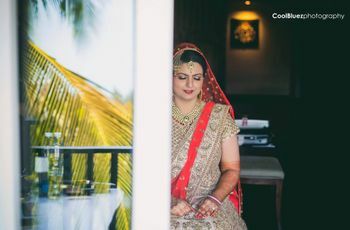 “I was thinking of putting it on an online portal for rent because lots of brides today are going for rental lehengas. So maybe”! Or if not anything else, she has her home temple idea anyway. “I guess I can utilise it in the Mandir making a tent-like structure with the skirt” adds Saumya. Choose a colour and design that would be evergreen for you. Don't blindly follow trends. See if it suits you first. You can use your dupatta for festive decoration too. Always keep room for alteration especially with your blouse. Cross-match with other outfits and even go with unconventional combinations. If you don’t find any use of your lehenga at all, think about donating. A wedding dress for a bride means so much more than just an outfit for an event. When you have had dreams of the wedding, you have had the exact image of how you wanted to look as you walk down the aisle. 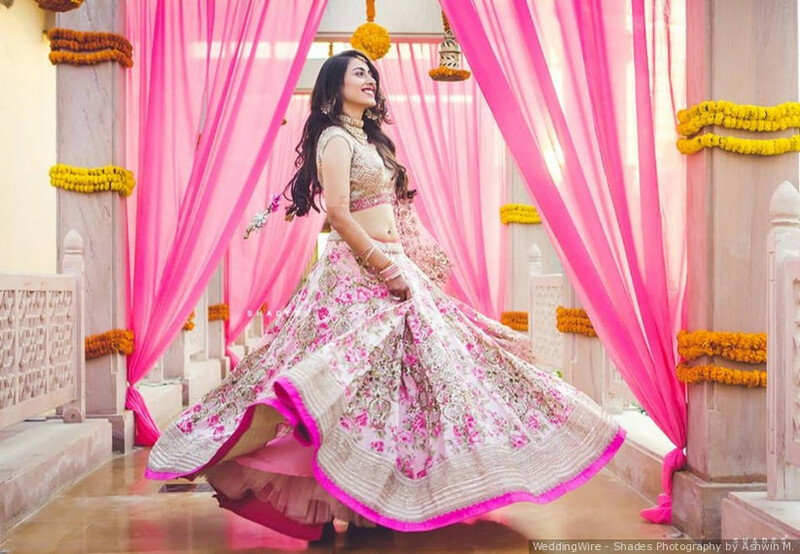 In your hundredth imaginary rehearsal, and with the help of all those fashion blogs and magazines to be grateful for, you will have a vivid image of what your bridal lehnga should be like. 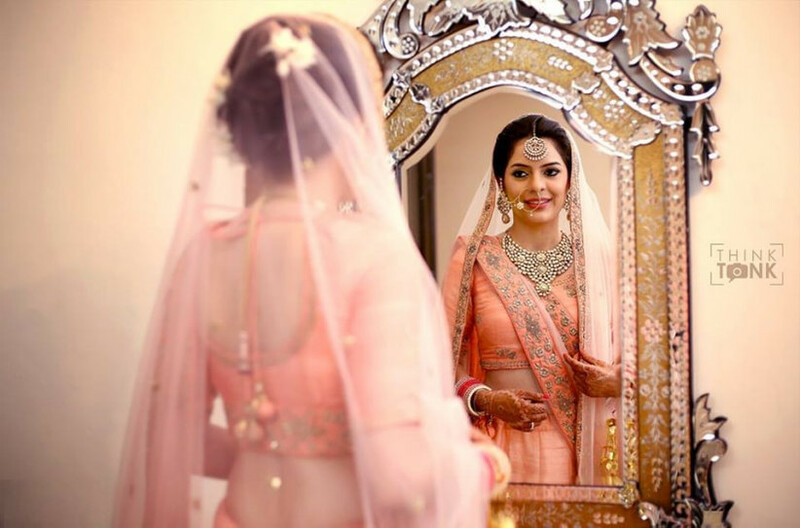 From florals on subtle pastels to solid reds and gorgeous bright shades that boast of intricate designing on embroidery, your Indian wedding lehenga is a treasured piece that should not be wrapped up after a dry wash session and put in a safety box in a corner of your wardrobe. Let it free and cherish it in ways other than the storage box allows you to. 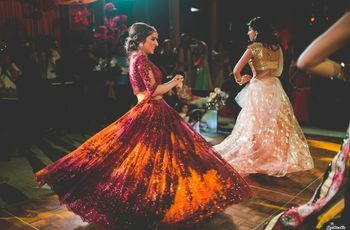 Now hopefully, you got some ideas on what to do with your Indian wedding lehenga after the fairytale wedding day has passed. 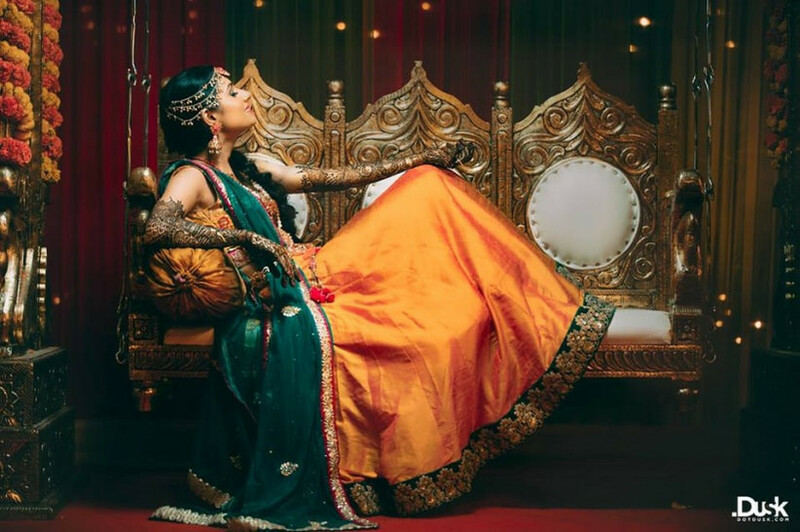 No need to stress over dilemmas and conflicts of interest on whether or not to buy your fantasy lehenga and be as fancy as you want yourself to be as the perfect bride. Live your wedding dream to the fullest. Just keep an open mind about re-using and reliving your dream and passing on the very same dream! Have you picked your bridal jewellery matching with your Indian wedding lehenga yet? Take a look at our vendor list and let us know if you have questions in the comment section below. 2 comments in "Your Gorgeous Indian Wedding Lehenga Need Not Brood in the Wardrobe After Your D-Day Anymore!" Gee thanks Anshu for your kind words. 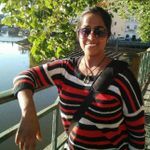 I hope brides-to-be find the articles useful!